NEOPIA - A bustling hub of shops, trades, stocks and auctions. A whirl of rare items, weapons, paint brushes and petpets greets any users who traipses out of their Neohome a few feet. It's hard not to get overwhelmed with the delightful array of trinkets and plushies and avatars and it is only understandable that many Neopians set their sights on something that they cannot yet afford and strive and pinch and save so that they can afford their wildest dreams. They work hard, play hard, and scrimp for each single Neopoint and, in the end, they are satisfied, elated and filled with pride at having achieved a goal that had before seemed impossible. Then there are those who try a different method. Empty cans, hats, guitar cases and pickle jars are often seen around the Neoboards and shops, each belonging to a user asking for "donations" to their cause. "I need a royal paint brush!" "Help me get the lab map!" "Mai petzzz is hungarin!!!!111!!" The cries come in all forms but the message is essentially the same: Fork over your neopoints! Aside from being obnoxious, begging is simply rude and uncalled for. As each new item, paint brush, or avatar is released, the begging seems to increase as more and more Neopians seek tough goals. While it is admirable to set high standards and goals for yourself, you need to understand that that is exactly what you are doing: setting goals for yourself. When you decide to pursue a paint brush, for instance, it is your decision to do so. No one insists that you paint your beloved Quiggle faerie but you. Your Quiggle is darling even without being painted and, although she would probably like to be able to fly with the grace of a Pteri, it is far from necessary. 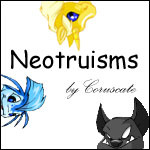 Neopets provides numerous resources to take care of the necessities at little or no cost. Free omelettes, the Soup Faerie and the Healing Springs are among the few institutions designed to take care of the basic needs of your Neopets. As such, a goal that you pursue is a completely voluntary measure and you choose it based upon your tastes, interests, ideas and not on need. This being said, we can learn more about just what begging means to the site. Neopets is a wonderful website but is, in essence, a game. There are games within the site itself for you to play to earn neopoints or to have some fun but the site itself is a large, more encompassing, game. Playing games, entering contests and spotlights, restocking in shops, these are all methods of "playing" Neopets. As you play you earn points or items which you can exchange for your own goals. These goals themselves often become part of the game, should you take on Battledoming, for instance. The object of the "game" of Neopets, however, is to see what you can accomplish and to pursue what interests you. If you were playing the highly anticipated Darkest Faerie on Playstation, and handed your controller to your big brother to get you past a tough level, you wouldn't be playing, he would. Part of the fun of the site is in the journey, in learning how to play and improving upon previous methods, records and scores. Asking for donations is basically asking other users to play for you, handing them your controller so that their skill and effort can be applied towards your game. Not only is that "cheating" in a way but it also belittles your own experience. What happens when you reach your goal? There is always another goal waiting in its shadow and you have in no way become self sufficient enough to pursue your own dreams without the handouts of others. When the next tough part arises, your brother may not be there to bail you out and you won't have acquired the skills to perform as well as you could have should you have earned your way there yourself. That being said, the journey is half the fun. Throwing each Neopoint in the bank for safekeeping, playing all the games, even the ones you are bad at, just to earn a few extra thousand points, dedicating hours to Neoquest or restocking, this is part of the fun of the site! When the shopkeeper accepts your offer, or your trade/auction comes to a close and you finally have what you had dreamed of for so long, you will feel so proud that you earned it, and all on your own. At that moment, the very idea of begging will be obsolete because you will understand what it is to earn something you worked so very hard for, and won't feel right about asking others to "donate" what they worked so very hard for. While it's often a wonderful and rewarding thing to help some of your best Neofriends achieve something that they have been dreaming of and working towards, creating boards or Neomailing users and asking for donations is a very different matter. What gives you the right to lay claim to the hard work of another? Do you not suppose that the users you are requesting donations from have their own goals and aspirations? Their own friends to assist, should they choose to? Not only is this rude and imposing but also hurtful. Many users have received their fair share of "beggar mail" and I can tell you from experience that it is an unpleasant thing to receive. To feel that someone (even someone you don't know) values your time merely to receive something in return or that you are worth no more to this person than a number of neopoints, an item or a pet instead of being an individual, a person, a Neopian is a downer. Do you really want to make someone feel so used? Of course not, but please keep this in mind during future interactions. Everyone has hopes, ambitions, dreams, rare items and avatars that they yearn for and, with enough hard work and determination, any user can achieve any goal they set their mind to - no exceptions. I wish you all the very best of luck in your pursuits and hope that you may have taken something valuable with you from this article.